I spent some time a couple of nights ago settling into my goals, intentions, and aspirations for 2018. This is a process I do every year. 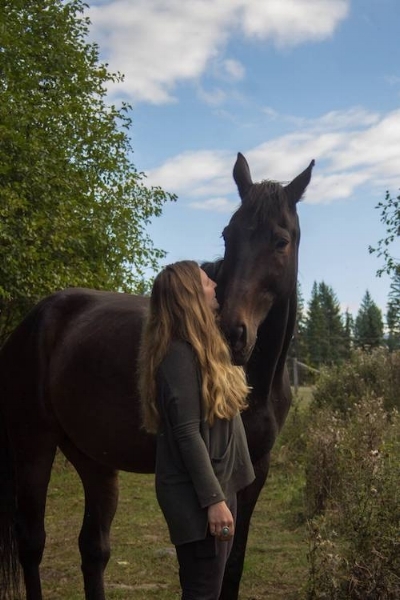 I pay attention to where my energy is drawn, what I would really love to hold space for, what numbers I need to hit in order to continue to support my business and my ranch. As I was doing this that night, I noticed a familiar twinge and contraction while I was going through my projections and outlines for next year. I paid attention and got curious to what I was feeling. I noticed there was a fear around not making my goals big enough, wondering if I was settling or limiting myself to what I was wanting to creating and what projections I was wanting to hit. My fear and insecurity was about not realizing a potential that was not my own. You see, I am not unlike perhaps many of you reading this where I get caught up in comparing myself to what I see out there in the world. The messaging lately I have been noticing is about 7 figures and beyond, millionaire mindset, etc... I remember working with a popular business coach a few years ago and she said something to me about, I bet you hit 7 figures next year. Now in my naivety I didn’t even know what that meant. Not really. I had just hit 6 figures which was a huge accomplishment. I was making a profit in my business and most importantly, I was paying my bills and debt, and covering what I needed. I felt in that sentence the coach threw at me there was now an agenda. I felt pressured to hit that and the next couple of years I would hear that a lot – 500k, 1 million a year in sales – it is overwhelming. So instead of staying in my own reflection and celebrating the success I have built I noticed an inadequacy and fear that I am not doing enough, I am still blocking my success and there is more I could be doing. I am always one for moving beyond our limitations. I hope to hold space for a deeper space of potential and abundance than the one I might believe I am worthy of, and sure I would love to create that kind of wealth through my business and vision and hit 7 figures in a year. But it is also not authentically my vision for myself. I don't always care about the numbers in the sense of letting it be my singular motivation. So while I sat with this fear and insecurity last night and in my curiousity I realized that part of the contraction came from the expectation and comparison that I was holding onto myself of what success needed to look like. I get caught in this as much as any other. I am constantly hearing from other people how proud they are of what I have built, inspiration of success and internally there are times where I feel like I have failed. Because I haven’t hit 7 figures yet. Or I haven’t made $500k in one year. Instead of continuing on this train last night, I reminded myself of something else. My pictures of success is spacious. It includes feeling good about the impact and integrity of the spaces I hold for my clients, continuing to deepen my purpose and step more deeply into my leadership. It consists of wanting ease, more fun, and space for myself not just to work, but to enjoy my life, to have time for me, to enjoy my community, to feel as close as I can to having a better balance to where I spend my time. 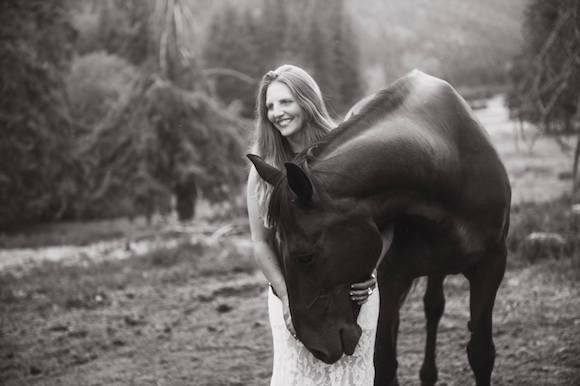 It looks like feeling abundant, mastering my own fears around money, getting to a place where I am profitable in my new business, having a surplus of cash to support this beautiful ranch, my horses, my dream and also myself. To feel spacious and aligned that everything I do is speaking to my soul and what feels good in how I create. The numbers are just that – numbers. It is not always symbolic of what the fullness of the vision is. When I start with a new client, one of the things I always ask them is to paint me a picture of what success looks like for them. Paying attention to the depth of it, the time, the space and finally the numbers. It is a full and holistic picture that comes from what feels good to them. Not my version of it, or my agenda for them, but their own vision for themselves. We don’t have to aspire to be millionaires to be successful, and there is nothing wrong if that is not part of your aspiration for yourself. We don’t have to feel shame, or unworthy or insecure if our version of success has less zeros attached to it. Because maybe that isn’t true for you. I am not saying not to reach for your big dreams and potential or stretch into creating more abundance with your work and your life, just don’t attach it to someone else’s agenda or vision for you. If you notice yourself measuring, putting pressure, holding expectation of where you think you are supposed to be, or where you are failing because you are not there yet, check yourself. What vision of success are you chasing? Yours? Or someone else’s? If you really got clear with yourself and painted that picture, what would success look like to you, deeper than the numbers? What would your version of it look like? What would happen if you created through that? I was reminded of this myself as I sat down to paint the picture for myself. And when I breathed into this truth I felt relief. I get to discern my own vision, and stay true to it. I hadn’t even realized how deeply I was getting caught up in comparison or what I was seeing out there. My task, my commitment is to continue to stay true to myself and my version of success, growing and creating at a pace that feels good to me while being open to the unexpected. Where do you notice you are creating from? Perhaps this is a nudge to get back to what your alignment and the vision that is living in you is instead of maybe one that is coming from outside of you. There is great courage and also liberation when we can give space and room to the seeds and the path that live within us. Love from myself and the universe. What are you holding space for?